Spring is a special time of year for everyone. The winter weather is finally subsiding and there is new life everywhere. People are excited to get outside and enjoy the great weather. What a better way to celebrate the springtime than sending a colorful floral arrangement to the people that are important to you? There are tons of reasons to celebrate during the month of March and the beginning of spring. For example, you can commemorate the first day of spring and International Earth Day by sending amazing flower arrangements North Salem, NY, from Bedford Village Flower Shoppe. Let’s take a look at some of the best flowers you can use to celebrate springtime below. Tulips are one of the ideal flowers to purchase from a flower shop in North Salem, NY, thanks to their variety of colors and incredible fragrance. Bright yellow tulips are a perfect flower that will brighten up any springtime day. You can also go with red tulips if you want to express love during this feel-good time of the year. Tulips are certainly one of the best choices for celebrating springtime. Daffodils are another great choice for the springtime that will certainly put a smile on their recipient’s face. 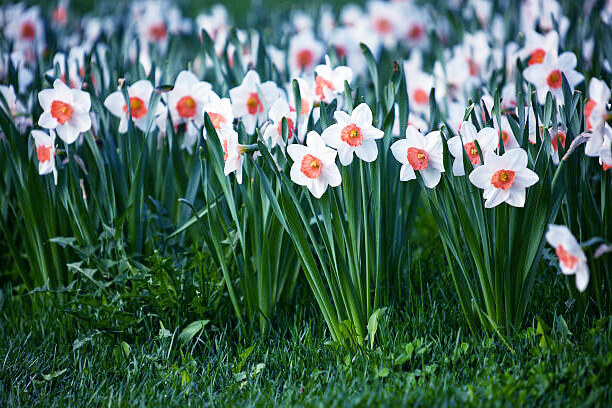 It’s important to keep in mind that there are certain flowers that bloom during the spring, and daffodils are one of them! These can make great flowers for celebrating International Earth Day or simply if you want to brighten up someone’s day. Spring weddings are very popular, thanks to the sunshine and beautiful weather. Therefore, you might be looking for the types of flowers that are great for weddings during the spring. Hydrangeas are always a great choice, thanks to their beautiful appearance and pretty fragrance. Combine these spring blooming flowers with year-round flowers to create an unforgettable arrangement. If you need any help creating the right wedding arrangement, contact the best flower shop in North Salem, NY, Bedford Village Flower Shoppe. Springtime is always a memorable season. Celebrating the new life and rebirth of all of the nature that surrounds us with a nice flower arrangement is always a great idea. You can’t go wrong with any of the spring flowers mentioned above, but if you are looking for more assistance, don’t forget to reach out to Bedford Village Flower Shoppe.